In looking for Christmas crafts for the season, I came upon this darling Mistletoe Tutorial by Stay At Home Artist. 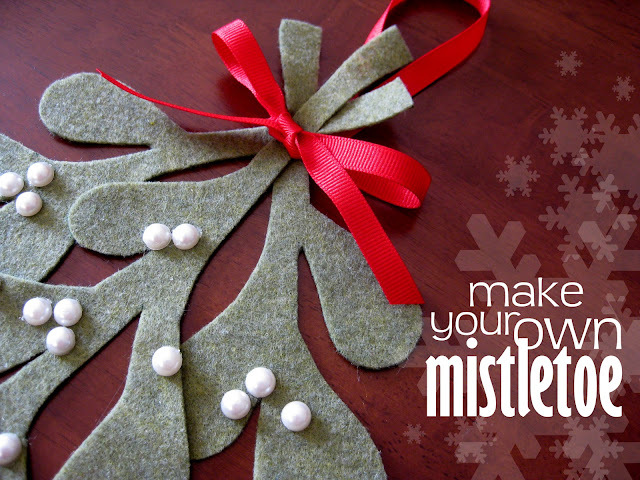 Like Kacey, I think store bought mistletoe looks plastic and cheap, but lucky for us all Kacey created this adorable felt pattern for the perfect homemade smooching pattern. I will be making mine today! Make sure to check out her adorable site here for the full tutorial & happy kissing!